The Indians may have lost the most out of any team in the state losing four of their top five scorers and their senior netminder. North Haven was knocked out of states last year by Prep in a game that North Haven could’ve had. Tom Roche’s club has a soft schedule to start the year before getting into the big boys. This should help the young club gain their footing. Mike Amarone is gone from between the Indians’ pipes after splitting with freshman Andrew Graziano. Graziano received more than enough exposure to the state’s talent and should be primed and ready to help lead this young Indians squad. North Haven also lost the services of graduates Mike Andreucci, Ken Broccoli, Andrew Babbidge and Tyler DeMartin as well as the grit of defenseman Johnny Johnson. Returning to pick up the slack will be forwards Karl Anderson, Chris Lion and Vin Fasulo. Not exactly the same kind of offensive clout as the aforementioned group, but with the year of experience hopefully, for North Haven’s sake, they can adjust on the fly. If Graziano performs and North Haven can grab their first four games (which they should), the Indians could be in good shape moving forward. If not, it could be a long year for North Haven. The Lancers had an interesting year. Legendary coach Marty Roos stepped down in the middle of the season leaving the Lancers to assistant coach Steve Hetherman. The Lancers, a once proud program, have fallen on some hard times going 6-13-1 two years ago and sneaking into states with a 8-12-0 mark last year. With some new bodies in place, Hetherman is looking to lead the Lancers back to dominance. He will start with a goalie battle. Returning starter (for the most part), senior Scott Kline will look to reclaim his position between the pipes but newcomer Stone Denbok will be looking to take the crease from him. Offensively, ND Fairfield will have to replace the loss of leading scorer Dave Canfarotta (Trinity Pawling) and defenseman Frank Sullivan (Westminster) who both left early. The Lancers will look to captain Christian La Croix for most of their scoring as well as junior Matt Khorasani and newcomer Jon Suporn. The Lancers are an interesting team to watch. They are deep but very young. They could climb to the top and surprise many or they can plummet. The defending state champions are back at it this year with many familiar faces returning for more glory. NDWH ran through Cheshire in the first round, was pushed to the brink by South Windsor in the quarters, beat up fellow townie West Haven and demolished a tired Glastonbury team in the final. Their run was quite impressive and was led for the most part by captain forward Colby Cretella who now plays at Phillips Exeter Academy. The Green Knights also lost the services of great locker room guys like defenseman Anthony Astorino and forward Eddie Sherman. Sophomore Alex Esposito, a player who really turned it on toward the end of the season, also left early for Loomis Chaffee. But the Green Knights return a wealth of talent, arguably the most in the state. All-world forwards junior Billy Vizzo (25 G, 22 A) and senior Greg Zullo (14 G, 34 A) are back. 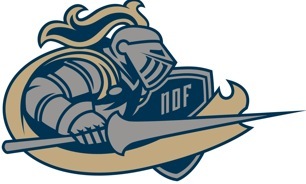 NDWH also returns a deep defensive core led by senior goalie Luc Amatruda, seniors Darren Capobianco, Cameron Hotchkiss and juniors Louis Iannotti and Anthony Iovene, To add on the offensive end the Green Knights welcome back sophomores Ryan and Kyle Lynch, junior Eric Austin, and senior Kyle Thibault. If that’s not enough, a year of experience goes a long way, especially when some of the teams the Knights will be facing are as raw as they are. With the amount of talent still pouring over the boards at Bennett, the Knights have to be one of the early season favorites. Arguably the state’s best regular season team last year has lost a decent amount but returns plenty to still be a legitimate title contender. Let’s talk about what the Tigers lost because it’s a lot. Sean Wilkinson, our MVP from last season, has graduated and gone on to Holy Cross to play lacrosse. Forward Jack Christensen has opted out of his senior year to go play at the South Kent School and defenseman Danny McMullen is now playing for the CT Oilers, so no high school hockey for him. Grinder Johnny Richards and netminder Nate Gliedman also went on to graduate. The Tigers dismantled the opposition last year in large part to Wilkinson’s 68 points in 22 games. It was a shock when the Westies upended the Tigers in the state quarters 4-1 at Webster Bank Arena and certainly a let down for the Tigers faithful after such a promising and impressive regular season. The rough part for the Tiger’s Lair is in order for this team to be successful, they’ll have to win a bunch of games dirty. This team won’t be demolishing their opponents but rather will rely on solid goaltending from senior Dusty Rausa and contributions from the likes of last year’s role players like seniors Vin Rella, Chris Morrow and junior Callan McCormick. On the defensive end senior Ian Ball will be looked to, to lock down the opposition’s best. The Tigers are deep but the talent pool has been depleted. It’ll take a village this season. After a tough (0-5) start, Simsbury put together a decent little year for themselves last year going 11-8-1 and avoiding the dreaded qualifying round of the tournament. However, they ran into a bandsaw in the form of the Glastonbury Tomahawks who buried Simsbury 7-0 in the first round. In the process however, they were able to top West Haven, South Windsor and tie Hamden. Head Coach Thomas Cross returns a veteran squad that includes eight contributing forwards, four defensemen and both of last season’s goalies. Four Trojan defensemen come in at 6’2” or taller. Senior forward Ryan Carpenter will be relied upon to lead the Trojans this year on the scoresheet and in the locker room. Cross will also rely on seniors David Olechna and Connor Rice to round out his top line. On the blue line senior Jeff Lowndes will be anchoring a strong group aided by juniors Brian Gellman and Curt Eustis. With this much veteran leadership Simsbury could surprise some this year. With 11 of their 20 games against DII or lower opponents, they should be able to, again, punch their ticket to states. The Bobcats were one period away from making it to the state semifinals when they had Notre Dame-West Haven on the ropes at Ingalls during the quarters, only to let the mighty Green Knights pull away with a 4-2 victory. Now, the Bobcats return only 2 of their top 10 scorers from last season. David Ouellette and Joey Bonazelli have graduated, sophomore Zecheriah Nicome has gone on to play for the Hartford Jr. Wolfpack and junior Nolan O'Connor transferred to Cushing Academy. The Bobcats were embroiled in controversy last season with key players being suspended towards the end of the year due to an off ice incident. So, maybe a fresh start is what the Bobcats need. Heading the charge of a new look Bobcats team will be the senior group lead by Josh O’Neal, Chris Gionfrido and Connor Hibbs. There will be some new faces in the fold with senior Aiden Cain in net replacing the graduated Chris Marchi and Ryan Serksnas. On the defensive end the Bobcats will look to Matt Bracci and Rick Landino to lead a very inexperienced blue line group. The Bobcats will be pesky but have a lot of question marks heading into the season. Time will tell with South Windsor, but I wouldn’t bank on the Bobcats running away with anything. The Cadets had a disappointing finish to a quality season last year getting trounced by Hamden 9-1 in the first round of states. The Cadets played a predominant DII-DIII schedule but won the games they were supposed to so you can’t fault them for that. This year the Cadets return a lot of talent including all-stater senior CK Keator who popped in 44 points in 19 games last year including four hat tricks. Keator could break out this season in a big way. They also bring back junior Ryan Corcoran who impressed as a sophomore. In net, the Cadets lose senior backstop Ron Johnson but will look to junior Mark Van Etten to step in. Van Etten saw over 200 minutes for the Cadets last season so this shouldn’t be a stretch for them. Sophomores Christian Furst and Wade Conlon will look to battle for the spot as well. Losing second leading scorer John Ferguson will hurt but he is only one of six graduated seniors that the Cadets lose. 11 of the Cadets’ first 12 games are against Division I opponents. If they could weather that storm only 1 of their final 9 is against Division I opposition. St. Joseph may surprise some this year. The Westies lost a lot in the off season and will be looking to rebuild around some remaining quality pieces. Mike Troaino is gone after a stellar 42 point senior year. They also lost some serious size and strength on the blue line as one of the state’s best offensive defenseman in Kyle Leyerzapf graduated and one of the state’s best dominators also moved on. Of course I’m talking about Dan Granfield. In net both Justin Shepard and Forest Schell have graduated as well. On the offensive end role players like Josh Robichaud and Adam Mink have moved on too. But all is not lost in Westie World. They return one of the state’s most entertaining players in senior Austin Hansen who played a great Robin to Troaino’s Batman last year. They also return key cog junior Jimmy Morrissey and will rely on many players who saw sparing, checking line minutes last season. In net, they will rely on sophomore Mike Savino who notched five minutes last season but has looked promising this preseason. West Haven looked downright dominant in the biggest upset of the season last year when they knocked out Ridgefield at Webster Bank Arena in the state quarters 4-1. But ran out of gas against NDWH in the semis losing 6-2. They had an up and down season and are as unpredictable as they get heading into this one. But in true Westie form, I’m sure they’ll be around towards the end. Xavier was unceremoniously bounced in the first round by the South Windsor Bobcats last season 3-1 which put a damper on a solid year by a Falcons team who took advantage of a relatively weak schedule. This year the Falcons come back loaded. They really only lost senior David Brennan and junior Nick Turner. Back are junior Jack Gethings and senior Ryan McLellan with a year of experience and the mission to put the Falcons on the map as a bona fide championship contender and why not? The X returns senior captain Dan Dupont and a cast of characters on the blue line including juniors John Burkinshaw and Kade McMartin and promising junior forwards Andrew Meoli and Bryan Stanton who had promising sophomore campaigns. Shane Baldwin is back for his senior year in net and is as solid as they come. Their schedule has also been kicked up a notch to match the quality of the product they plan to put on the ice including some seriously scary out of state matchups with LaSalle (RI), Bishop Hendricken (RI), St. John’s-Shrewsbury (MA) and Moses Brown (RI). Xavier is going to have a good year and you heard it here first. They’ve paid their dues and finally have a roster with experience, talent and confidence. are so popular to take is that they are so easy to swallow. Capsules can also go through the bloodstream at a faster rate.